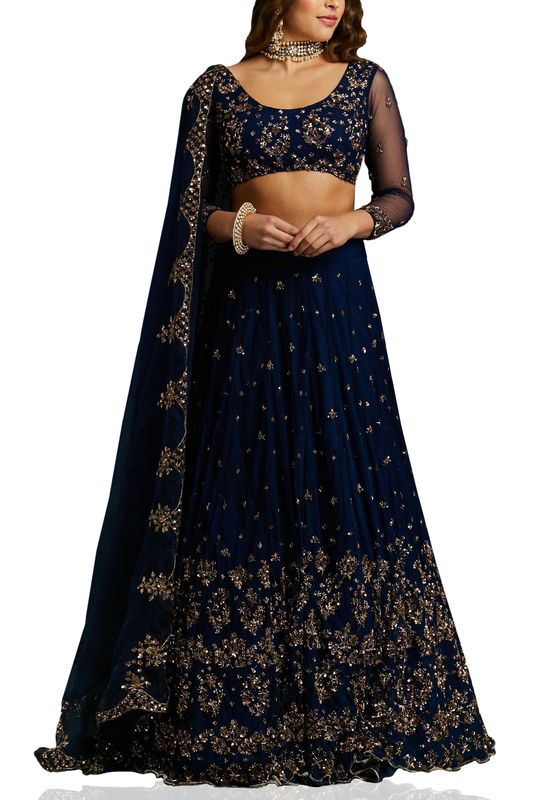 Navy embellished lehenga set designed by Astha Narang at AASHNI+CO. 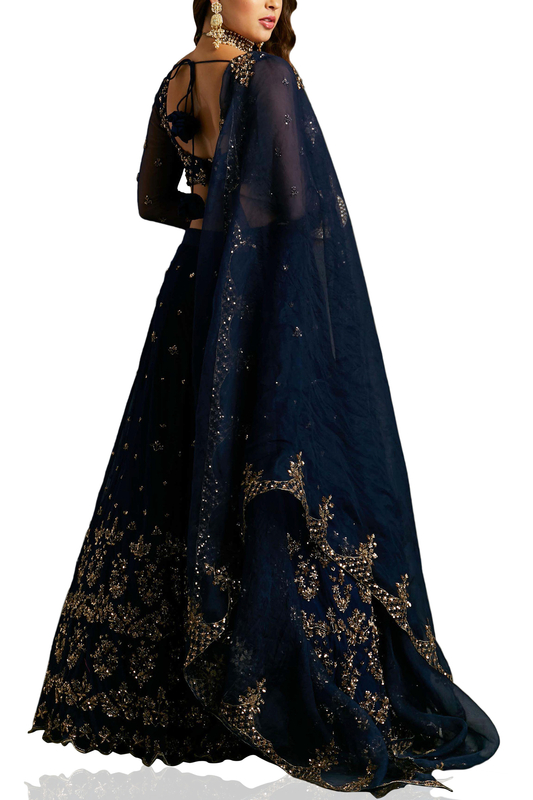 Astha Narang adds a chic twist to your festive wardrobe featuring a navy blue embellished lehenga paired with choli boasting sheer sleeves and a dupatta. Style the look with gold celestial danglers and choker.